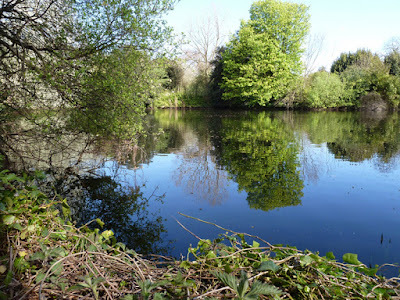 June: Opening day was a blank - not the way to start a season, but the next day I stalked out a new PB bream from a clear chalk stream. I then resulted to a few local barbel fishing sessions, although I'm not really targeting them this season. The highlight was a new local river PB roach, 1lb 4½oz, cracking fish but still room for improvement. August: The plan was to crack on with the Specimen Challenge and my targets were crucians and rudd - but work had other ideas, I struggled to find time on the bank and when I did conditions were against me. I managed the target species but not the target weights - next year (I'm going to extend the challenge). September: More time on the bank and more fish in the net. I stalked out a double figure river bream, at 10lb 9oz my target was cracked. An old warrior of a barbel, at 9lb 14oz I really didn't care about those two extra ounces. A new PB chub at 5lb 14oz, bigger to come I hope. And rounded off the month with some trotting for dace, great fun. So far I've caught 16 species of fish (and a crab). No easy target bleak but probably still a summer record. 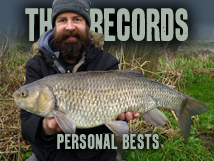 Barbel, bream, carp, chub, crucian, dace, eel, grayling, gudgeon, perch, pike, roach, rudd, tench, trout, minnow + mitten crab.